With me, if we do not have much time for cooking, Easy Vietnamese Recipes will be my first choice. Many cheap and healthy ingredients for cooking are waiting for us. 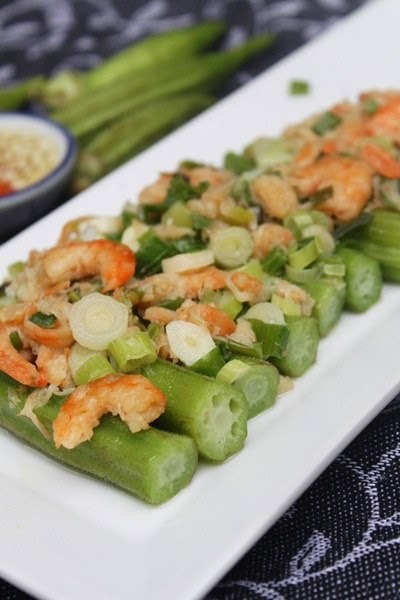 One of them is Stir fried Okra with Dried Shrimps (Đậu Bắp Xào Tôm Khô). If you are also a vegetarian, one of Easy Vietnamese Recipes like this is really suitable as well. My mom usually eats this dish with soy bean paste. I prefer eating with soy sauce only. Now, let us start making it right now. Spring onion, garlic, fish sauce, salt, sugar. 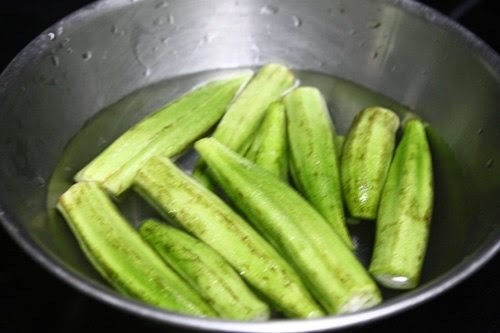 Step 1: Cut off the roots of okra, soak in water added a little salt in few minutes and clean again with fresh water. Wait to get dry. Step 2: Clean well dried shrimps, soak in water until it is soft; wait to get dry. Step 3: Clean and slice small spring onion. 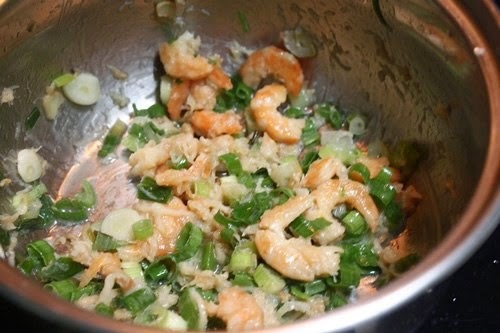 Heat the oil, fry quickly sliced spring onion, dried shrimp together. You can add just a little salt. Step 4: Smash dried shrimp quickly, do not too much, bring okra to steam in 10 – 15 minutes until they are soft. Arrange on plate. Even this is one of Easy Vietnamese Recipes, but you should not neglect when cooking. Finally, you can serve it for your family. 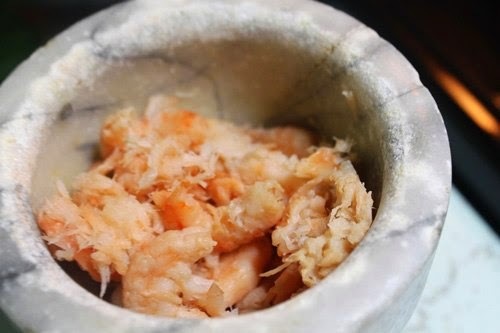 Before eating, add dried shrimp with spring onion on top. It is really delicious. Beside of using soy bean sauce and soy sauce, you can eat with sweet and sour sauce. Hope you can satisfy with one of Easy Vietnamese Recipes like this one. Good luck for your cooking and have a good appetite.